World Cup winners France and Belgium are the first teams to share a joint top spot at the latest FIFA rankings. In its 25 year run, two teams were yet to spare the top spot but with victories against Scotland and Iceland, Belgium joined France at the top of the ladder. France defeated Belgium at the semi-finals of the World Cup in Russia, before going on to win the tournament. Belgium had been one of the top tips for the tournament outright but sadly they failed to make the breakthrough against France, and lost to a Kylian Mbappe-inspired Les Blues. Whilst any team with Eden Hazard in deserves to be amongst the accumulator tips for the weekend, it's the first time that his side have hit the heights of first place in the FIFA Rankings. The Roberto Martinez-led side then went on to claim third place when they managed to get the better of Engaldn for the second time, having previously beaten them in the Group Stages. Most recently, the Belgian side defeated Scotland 4-0 in a friendly game, and won their debut game in the Nations League against Iceland 3-0. France played a goalless draw against Germany before defeating the Netherlands 2-1 in their Nations League opener. Both sides have 1729 points so claim the top place, while Brazil (with 1663) placed third. The changes in the Top Ten largely remained unchanged save for Denmark that slipped to the tenth place, below Spain. Croatia are in the fourth place, then Uruguay, England, Portugal, and Switzerland. 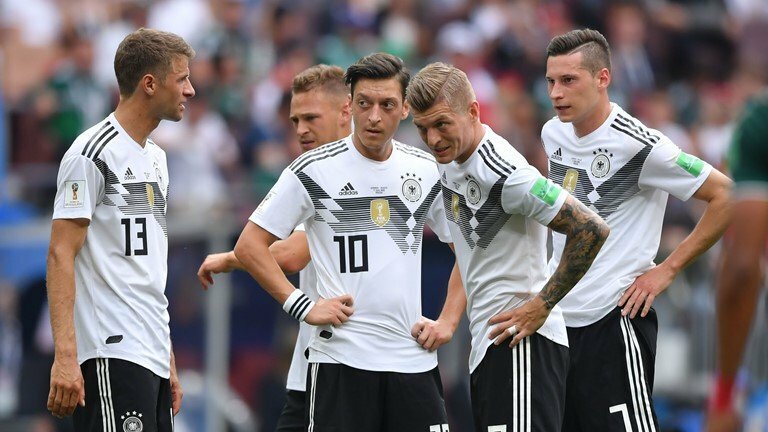 Germany are 12th in the rankings, after getting back on track following a poor World Cup showing. Ukraine are the biggest movers, climbing six spots to the 29th position after seeing off Czech Rep and Slovakia in Nations League duels. While Ukraine were the biggest movers, Kenya were the highest point makers, moving up 22 points. Ghana dropped 51 points and lost six spots while the biggest loser was Slovenia who also slipped six spots but dropped 61 points.